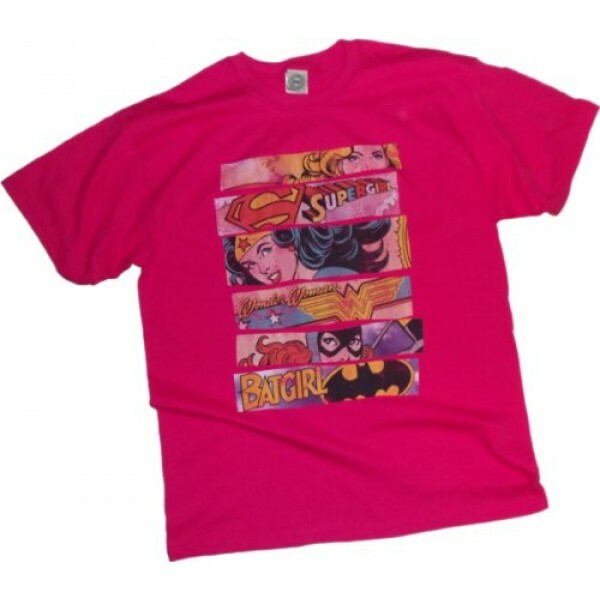 This great superhero T-shirt features DC Comics' Supergirl, Wonder Woman, and Batgirl -- definitely three of a kind! It's 100% cotton and officially licensed. Available in youth sizes small (US size 7) to extra-large (US size 16). This design is also available in junior's sizes small (US size 3 - 5) to extra-large (US size 13) here. Don't forget to check out our Batgirl, Supergirl, and Wonder Woman collections for more products featuring these characters. 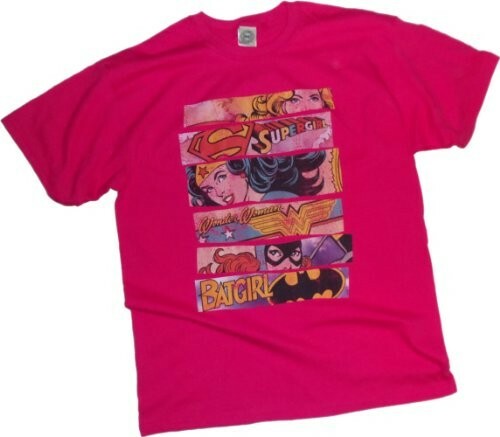 For a wide range of empowering t-shirts for Mighty Girls, visit our Clothing section.